Chevy, Buick, and GMC shouldn't count on getting the twin-turbo V8. Cadillac has developed one firecracker of an engine in its Blackwing: the 4.2-liter twin-turbo V8 powering the CT6-V. But other GM divisions hoping to get their hands on it had better be ready to throw down. Asked whether he'd be willing to share the engine with sister brands, Cadillac chief Steve Carlisle answered Motor Trend emphatically in the negative: "Over my dead body.” That would ostensibly put to rest any rumors of the Blackwing finding its way under the hood of, say, a future Corvette (alongside which the engine is produced in Bowling Green, Kentucky). That wouldn't preclude Cadillac from slotting the engine into another of its own products, though. 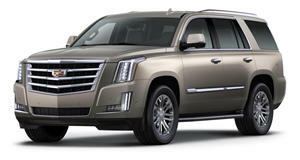 Like the Escalade, for example, which currently comes powered exclusively by GM's EcoTec3 engine – a 6.2-liter V8 producing 420 horsepower and 460 lb-ft of torque, also available in the Chevy Tahoe and Suburban, GMC Yukon and Yukon XL, and the Chevy Silverado and GMC Sierra pickups. In fact Cadillac is expected to do exactly that, potentially further distinguishing its version of the big sport-ute from its sister ships – albeit without the Blackwing badges that have adorned the CT6-V. In the CT6-V, the Blackwing engine kicks out 550 horsepower and 627 lb-ft of torque to all four wheels through a ten-speed automatic. The engine is also being detuned to 500 hp and 553 lb-ft in the CT6 Platinum, and additional examples of the CT6-V may be offered beyond the initial 275 units sold. That is, if the automaker can figure out where to continue making the big sedan for the US market. 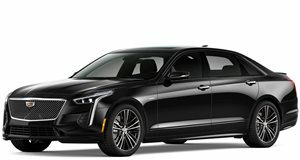 With the Detroit-Hamtramck plant where it's made being closed down, the CT6 was initially said to be on the chopping block, but Cadillac's working on a solution to keep it around.